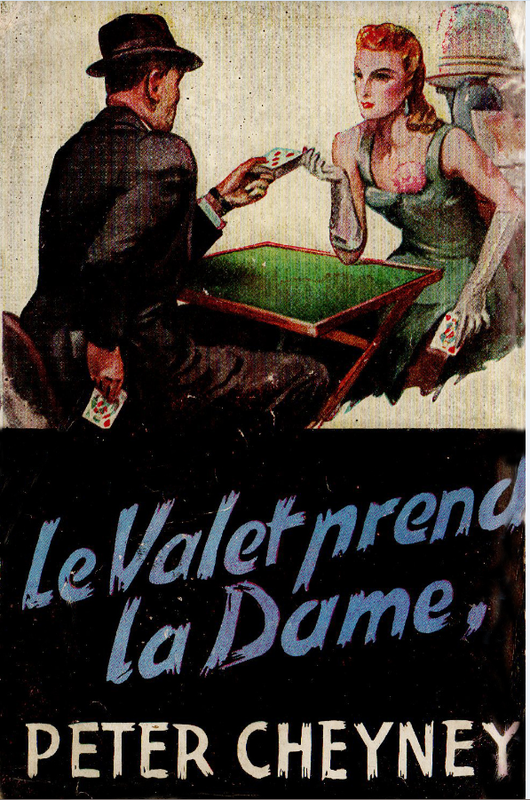 Peter Cheyney, the first author published in the Série Noire, was, more than any other at this early stage of the noir genre, responsible for disseminating the equation: Noir = Violence + Alcohol. 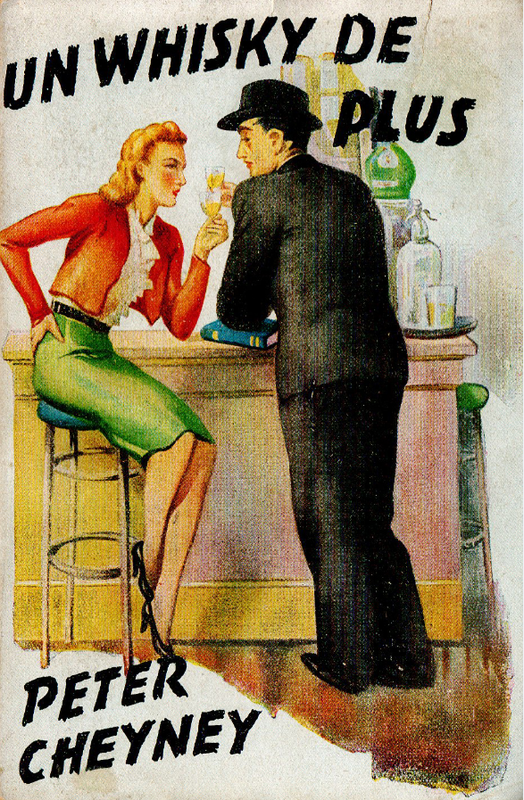 His hard-hitting protagonists used to hit the bottle just as savagely as the villains they encountered. 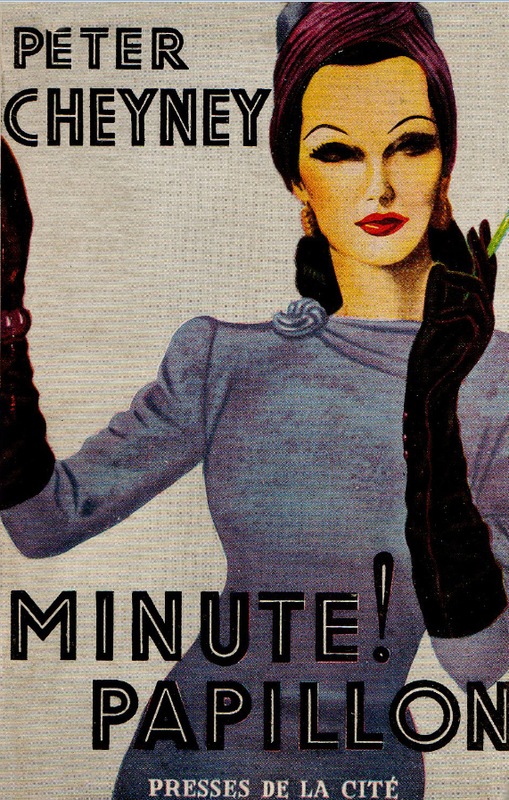 Cheyney is often considered to have made the consumption of whisky fashionable in post-war France. 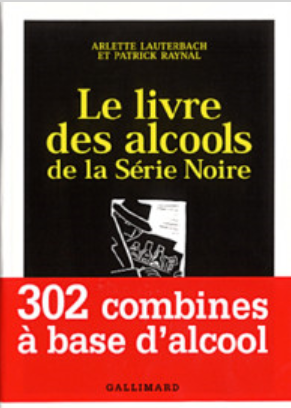 The Série Noire offers an impressive collection of alcoholic visions and recipes. 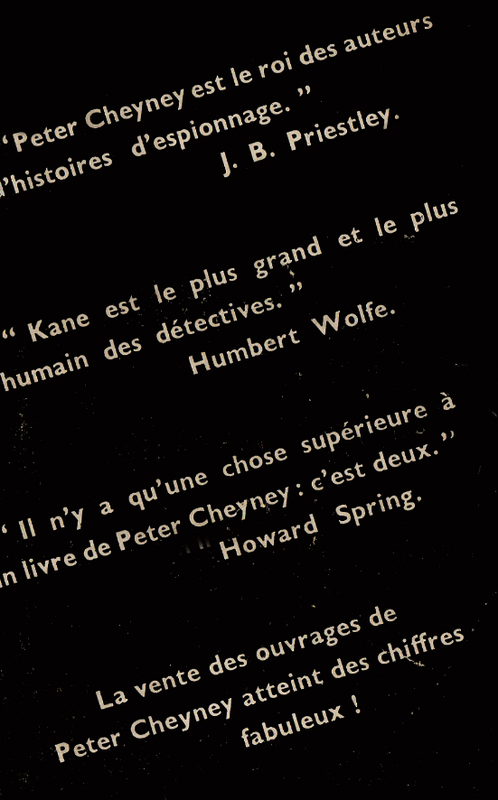 But it is indisputably outside of the Série Noire, namely in the Presses de la Cité, that Cheyney’s books found their more alluring illustrations in France. As the examples reproduced here (courtesy of Didier Poiret) attest. 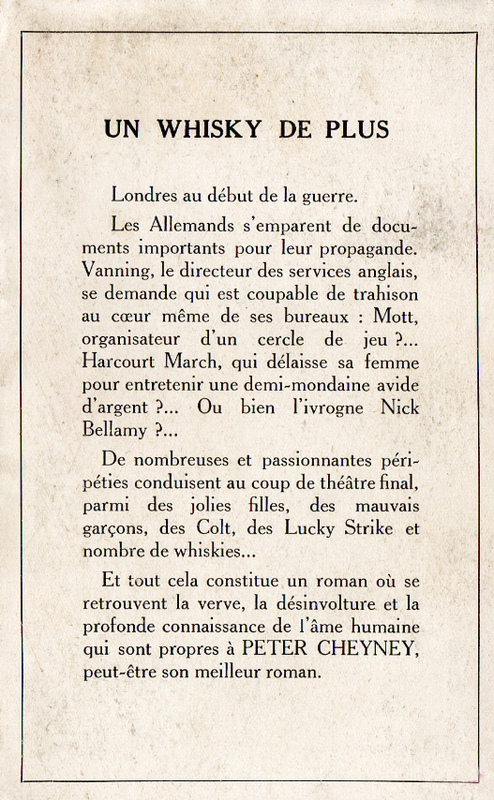 Peter Cheyney, Minute, papillon [ A square deal, Translation Louis Chantemele] Paris, Presses de la Cité, 1949.